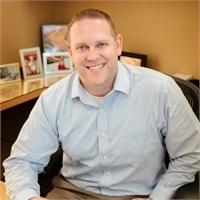 Matt joined Lee Stoerzinger, Inc in 2015 and brings 16 years years of financial services experience. He got his start outside of Boston focusing on the analysis and marketing of investment products. From there, he transitioned to comprehensive personal financial planning at a Minnesota credit union. Having experience on both sides of the financial services industry has given him a unique ability to both analyze investment products and relate that to our clients' situations and objectives. Matt and his wife, Jennifer Santini, have two sons, Soren and Aksel. Away from the office, a good bet would be to find Matt in the kitchen cooking with family and friends. He has a cabin in South Dakota that helps provide for some relaxation in the Fall along with some memorable hunts.